Global Epidemic. Government overreach and coverup. Domestic terrorist threatening millions. These might be headlines taken from today’s newspapers. 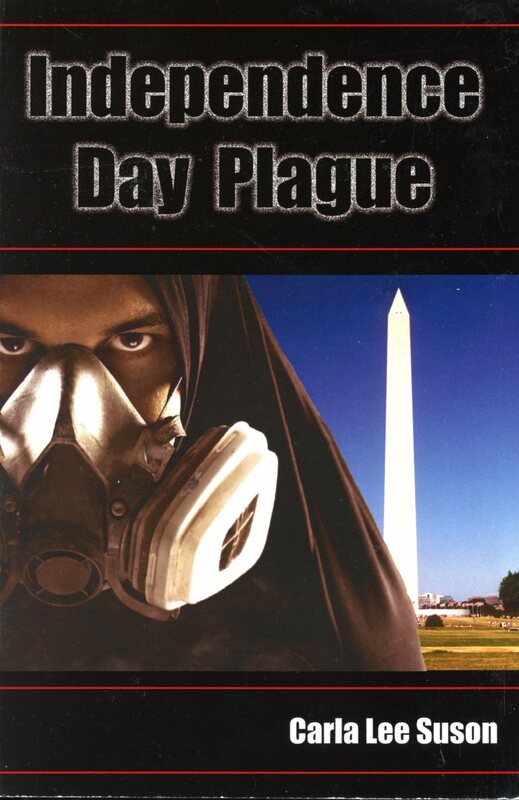 Instead, they lie at the heart of Carla Suson’s thriller, Independence Day Plague. When the crowds are at their peak during the Fourth of July National Celebration, I will detonate a biological bomb that will spray the nearby people with a deadly pathogen. Once they are infected, millions will die before you can control this virus. Weapons developer, James Mitchell, sent this message to the DC police on the morning of July 4th, 2026. Having watched the Army kill his family and friends, Mitchell seeks revenge on the men responsible and the government that ordered the assassinations, Set in DC at the 250th birthday of the United States, the books explores home-grown terrorism and revenge in a fractured world on the brink of war with China. Click here to check out other available books by Carla Suson.